How to throw a HIMYM finale party. | Finding delight. How to throw a HIMYM finale party. If there is one thing my sister and I can agree upon it is the importance of television (aka welevision). When she mentioned her plans to go all out for the series finale of “How I Met Your Mother” I asked if she would share her menu plan with us over on the blog! If you’re gonna tune in on Monday, why not make it an event? You see, in my family, we’re all about some themed food. World Cupcakes representing soccer teams during the World Cup, Island/Dharma Initiative dinner for the series finale of Lost, Fifty Nifty United Pizzas–I think by now Katie is an expert. : ) Enjoy! 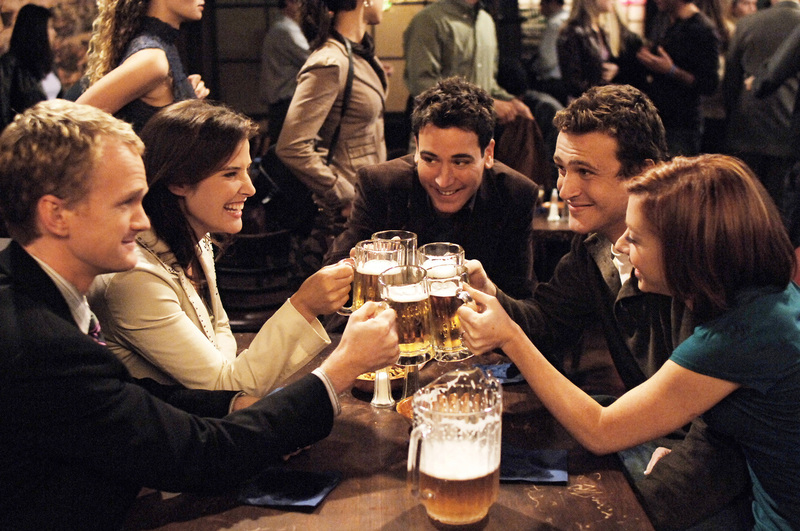 Kids, in the Spring of 2014, one of my favorite television shows gave it’s final toast . This show was incredibly special to me. True, it was a comedy on the surface, complete with running gags, a laugh track, and Bob Saget, but at its core it was a heartwarming story of friendship, connection, and the universe taking care of us. It taught me a lot of lessons about the age I was entering at the time – the unchartered territory of my twenty somethings – and before I knew it, I was connecting with the characters on a level I wasn’t prepared for. Because of this, for its final episode, I would throw a party. It really was the only way. Now kids, I had to make sure that the menu matched the spirit of the show. I had to find the perfect thing to capture the essence of McLaren’s pub – to the cookbook shelf!! – Served with queso (vegan or dairy), salsa, and sour cream (vegan or dairy). – Perfect isn’t always perfect. Sometimes it’s just not meant to be. And that’s ok.
– Nothing good happens after 2am. Just…go to bed. – Don’t settle for someone who accepts your quirks, be with someone who loves them. – Your friends are your family. – When you’re sad, stop being sad and start being awesome instead. – New York really is the greatest city on earth. – Sometimes you just have to let the universe take over. Everything happens for a reason. – Don’t ever think something or someone will last forever. They won’t. – Life is hard, but that doesn’t mean it can’t be legen…wait for it I hope you’re not lactose intolerant because the next word is…DARY. Kids, there will come a time where you find something in popular culture that speaks to you. Since you’re my hypothetical future children, there is no doubt in my mind that you will love television, so if you find a show that you watch obsessively, don’t be embarrassed. Share it with your friends, have discussions about topics it brings up, make connections with people who also enjoy it, and hell…suit up and THROW A PARTY! Thanks, Katie!!! Any HIMYM fans out there? What series finales have been especially epic for you? Lost was a pretty big one for me and I can remember crying during the finale of Home Improvement, lol. Tune in for the hour long finale of How I Met Your Mother next Monday at 8 pm (7 central) on CBS. This is such a great idea! 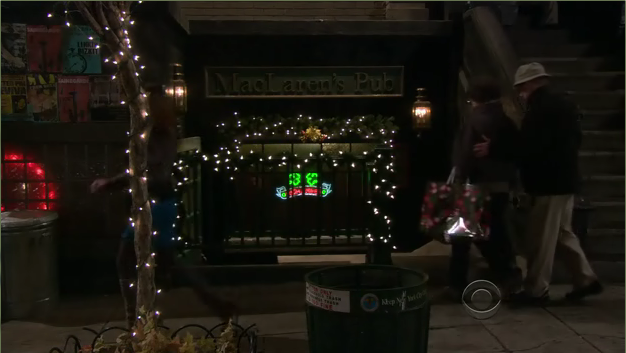 Too bad my brother (my HIMYM “companion”) live in different countries, otherwise we would have definitely done it too! Squeee!! I went shopping for everything today…even little yellow umbrellas for the drinks! I’m so excited I’m so excited I’m SO SCARED.